The Little Learners Approach has grown and developed since opening in 2011. 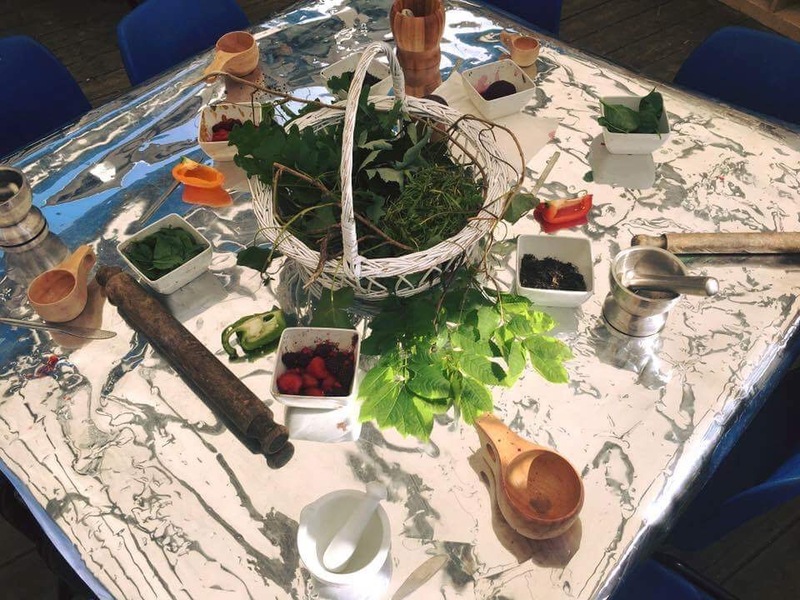 Initially inspired by the Reggio Approach and later by nature and more profoundly the children in our care. We do not claim to be anything but ourselves, although we have taken inspiration from different approaches, our own staff and children have influenced us in an individual way no one else or thing could. From out of nowhere we began getting interest from other practitioners and professionals who wanted to visit us and find out more about the work we were doing with our children. We were very overwhelmed and honoured and eventually the demand became too large to handle things informally, so hence the birth of our training and consultancy in September 2014. We began by holding 3-4 hour training sessions on Saturdays and evenings. The demand continued to grow, so we decided to try something different where we could accommodate more people at a time, so that we could keep up with demand. This led to our professional development days which we hold 2-3 times a year. They consist of tours of our setting, discussions with our team and workshops. We sell out for every event which makes us immensely proud and appreciative of the support we continue to get from our followers. We have professionals travel from all over the world to visit us and lots of returning faces who enjoy visiting time and time again. We also offer bespoke training courses for your team. We have been out to several settings across the UK to do this and have welcomed even more settings to our nursery for a group training session. This works well for getting your whole team on a learning journey of inspiration and change. As well as this we can offer consultancy where we can work alongside you in your setting to help develop any or all aspects of the learning and development you provide. If you are considering a bespoke training course at our setting, we can offer you a price of £40 per person for a 6 hour day or £25 per person for a 3 hour day. The minimum booking (or payment charge) would be for 20 people, and large groups of 35 or more would receive a 10% discount of the total charge. We can cater for a maximum of 45 people in a group training session. Additional charges would be chargeable for all expenses including travel time and cost for courses held at your own setting. In addition we can offer professional visits to our setting where you can come as a small group during the working week or a slightly larger group at the weekend. During the working week the maximum visitors we can accommodate is 8, and for the weekend the minimum we can cater for is 9. The price for a professional visit is £75 for the first person and £50 per person thereafter. The visit is two to two and a half hours long involving a guided tour of our setting, all questions answered and a reflection time to reflect upon your visits and any enhancements you want to make to your own practice and/or setting, with support and ideas from our professional showing you around. On one particular Forest School session, a child announced that they really wanted to paint. As you can imagine, in the middle of the forest, without prior awareness of a desire for painting, we did not have any resources with us. So we used what was available. At ‘Little Learners’ we see the natural environment as an opportunity to explore, investigate and discover; and that’s exactly what we did -we made our own mud paint right there in the forest! 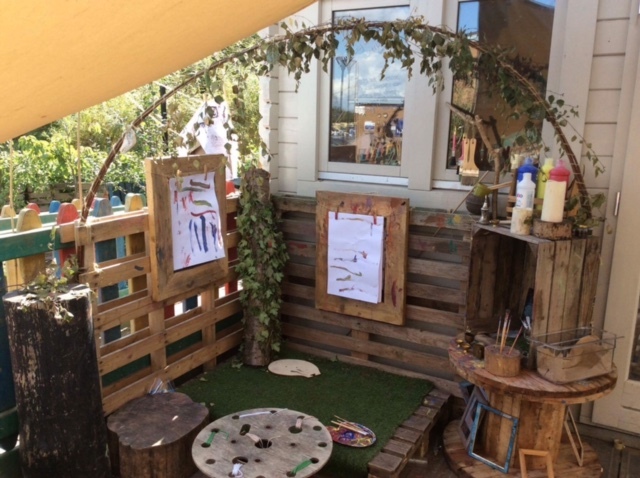 Whilst we still hold the Reggio Approach close, we do not claim to be a Reggio Nursery because we believe that you cannot just take an approach from one place and exactly replicate it in another. We take inspiration from it and many other things and have added our own quirks, theories and experiences along the way to develop our own ‘Little Learners Approach’.